The Winter Solstice marks the longest night of the year. There will also be a Full Moon on the same day as the Winter Solstice, which is also called the Full Cold Moon. This will not happen again until 2094 - so it's worth keeping an eye out for! At the Winter Solstice, the Sun's path is at its southern most position, which is why it is the longest night of the year. From this point on though, the Sun's path heads in its Northern direction again, which means it's on its path to bring longer and warmer days to us here on Earth. The Winter Solstice also marks the perfect time to ground yourself. Being the shortest day of the year, makes it a wonderful opportunity to take some time to ground yourself, look within and use the Full Moon's energy to rejuvenate yourself. With longer nights and darker days, our energies are naturally low which is why it is important to accept this and embrace the act of slowing down. By slowing down and grounding yourself you will allow for the opportunity to look within yourself and at the life happening around you. Take the time to find the things that you are grateful for this time of year. Then use this time to find your center and rejuvenate your mind and body. This does not mean you have to be a burst of energy, all it means is that you should feel refreshed, appreciative and grounded - maybe with a refreshed outlook on life. "The Winter Solstice is the time of ending and beginning. A time to forgive, to be forgiven, and to make a fresh start. A time to awaken." We wish you all a calming, peaceful and grounding Winter Solstice. Have you seen our Seamless Solstice set celebrating the Winter Solstice? See more by clicking HERE! Join Moonchild to get our special offers, fashion news, and once-in-a-lifetime deals. 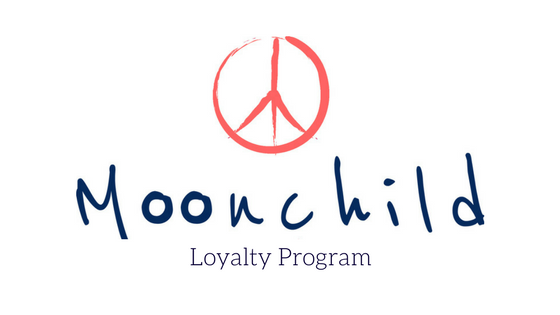 Join the Moonchild Loyalty Program! Join us today and earn point with every purchase. Points can be redeemed for free products on our webshop. Get extra Bonus Points for joining Moonchild this week!